Onboard vehicle weighing systems are important for many reasons including legislative, safety and economic, and there are a number of different types available to suit a huge variety of applications. From the transport and freight industries to waste management, agriculture, mining and construction – there’s an onboard weighing system to suit any application and these top frequently asked questions should help with decision-making when it comes to selecting the right product. What are onboard vehicle weighing systems used for? These systems are fitted onto a wide variety of vehicles including trucks, forklifts, loaders and council waste removal trucks in order to weigh products or to identify vehicle axle loadings and/or gross vehicle mass (GVM). They offer protection against overloading as they alert drivers when the vehicle load is approaching the legal GVM limit and they can assist businesses to accurately manage their vehicle payloads and weight distributions. In the waste management industry, an onboard vehicle weighing system is an essential piece of equipment as it provides a solution for overload protection, the weighing of bins, the control of recycled weights and the provision of any legislative requirements such as the Government Landfill Levy. Another sector where there are significant benefits from weighing systems is agriculture and farming. These benefits include greater control in the field, improved efficiencies in fertiliser spreading as well as the provision of accurate yield data or reports for insurance or management purposes. Onboard vehicle weighing systems are also accurate and simple to operate as well as enabling a reduction in vehicle wear and tear and improvements in fuel consumption and vehicle safety. Can a weighing system be fitted to any vehicle – including existing ones? Yes, these systems can be fitted to both existing and new vehicles including light commercial vehicles, waste collection vehicles, spring suspension vehicles and trailers, tippers, rigid trucks, semi trailers, drawbar vehicles, forklifts and tractors. 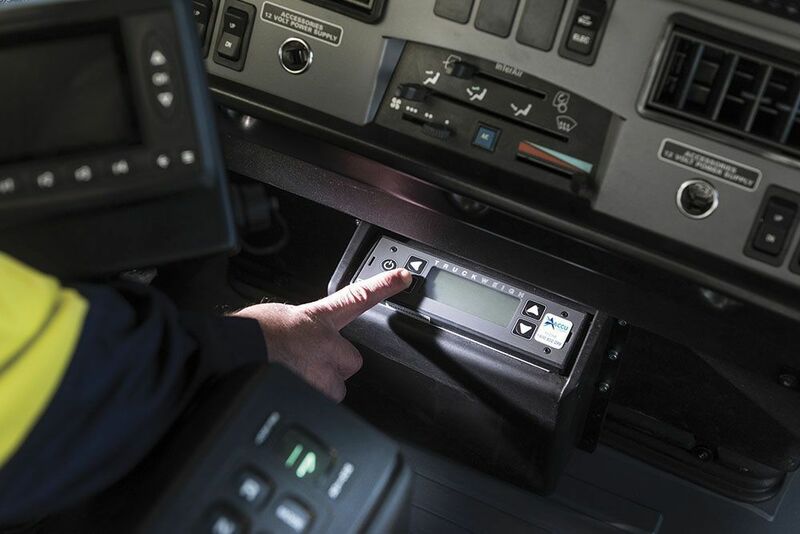 There are also intelligent onboard weighing systems that will automatically recalibrate when trailers are swapped, so that any number of trucks or tractors and trailers can share components and still have their loads accurately weighed. Can an onboard vehicle weighing system be adapted to interface with my organisation’s existing software? Yes. In many instances, these systems can be integrated with existing computer systems and can be tailored to suit the individual operator’s reporting or operational requirements. How easy is it to operate an onboard vehicle weighing system? There are obviously different systems for different applications, but generally, they are very simple to operate and some don’t even require any driver input. How fragile are these systems? Can they work in rugged outdoor conditions? Again, there are different systems for different applications but there are most certainly onboard weighing systems that are specifically designed to withstand harsh conditions and off-road use such as in mining and construction environments. In summary, onboard vehicle weighing systems take the guesswork out of vehicle loading operations. They offer a host of benefits to a wide variety of industries, including enhanced operating efficiencies, improved driver safety, accurate reporting, regulatory compliance and improved payload control. If you want more information on how onboard vehicle weighing equipment can meet your warehousing and freight needs from end-to-end, get in touch with Australia’s most experienced and professional weighing company, AccuOnboard. Find out more about their extensive product range online or contact one of their eight branches across Australia where you’ll find fully trained and highly experienced professionals ready to answer any of your queries.